More Torah perfection awaits those that choose to see. Before we move on to the promised article on”the beast” there was an important bit of Torah knowledge that we neglected to pass on in our last post. We recently illustrated that the square root of the total number of words, letters and verses in the Torah is exactly 625, which matched the Regressive (squared) spelling out of the 4 aspects of G-d Name, YHVH, which led us to conclude that there was a part of G-d Name at the source of each individual letter, etc in the Torah. We further illustrated that 6252 equaled 58 and that .625 is also exactly 5/8. We then mentioned that in choosing 5778 as the year of the geula,G-d must have known that 5778 is only 22 (as in the 22 letters) years shy of 5800 and that it must all play some part together is His grand plan. What we neglected to mention was that the Torah, as is all Hebrew, is built only 22 letters–building blocks, as Abraham the Patriarch referred to them in his Sefer Yetzirah–and that each of those those has a specific numerical value corresponding to their spiritual energy. That energy and numerical values is the basis for all gematria and that Kabbalistic studies. And when the sum up the total numerical value of all 304,805 letters in the Torah, we get 33640626, which is precisely 5800.053972, off by only626 from 5800.0002. 626 is obviously 625 + 1 (Kolel). As mentioned before, 625 is the gematria value of H’Keter, the crowning sefira (dimension), above all else. Man obviously didn’t create the Torah. 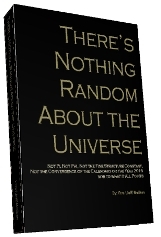 It would have been beyond his capabilities just considering the few facts in this post, which are but a drop in the bucket to all the others we’re previously revealed in The Genesis Prayer, the Divine Calendar, Nothing is Random in the Universe, and our hundreds of articles, and these are but a drop in the ocean compared to what’s really in the Torah. 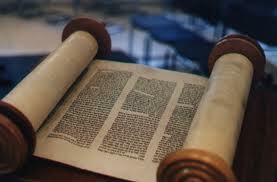 Nevertheless, if Man didn’t create the Torah, who did, and why base it on G-d’s Name? However you answer that, and there can be only one right answer, you must then ask what the meaning is behind the 5-8 relationship? Remember numbers are only reflections of the energy levels an sources they represent. Why was it so important to the Torah’s design? What will it mean for us as we quickly approach the prophesied date of 5800 – 22 (5778, 2018 CE)? Thanks very much for your clear kabbalistic instructions and computations. 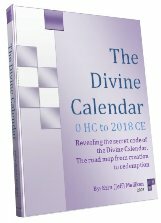 We find in 16. century christian computations of Anno Mundi that they often took the year 3982 as starting point. But 3982 – 222 (VY DBR) = 3760. 3982 – 22 = 3960, because 83 x 72 years 5976 – 3960 = 2016 AD. Next Next post: Who knew? The Mark of the Beast Really is 666.